Chief Scientist, Lighting Analysts Inc. When Rudyard Kipling wrote this line in his poem The Ballad of East and West (Kipling 1892), he was referring to cultural misunderstandings between the British and their colonial subjects in India (where “twain” means two). As a proverb, however, it has worked equally well for the lighting industry and the astronomical research community for the past four decades. The meeting concerns light pollution, wherein roadway and area lighting contribute to the diffuse sky glow that limits our ability to observe the stars at night. The International Dark-Sky Association (IDA) has campaigned since 1988 to limit the use of outdoor lighting, and to employ luminaires that are designed to limit undesirable spill light. Unfortunately, the equivalent of cultural misunderstandings have until recently worked against this effort. Those in the lighting industry will be familiar with IES TM-15-11, Luminaire Classification System for Outdoor Luminaires with its BUG (Backlight-Uplight-Glare) rating system (IES 2011); those in the astronomical research community will be familiar with Garstang’s light pollution model (Garstang 1986) and its derivatives. These documents have led to the development of the IDA/IES Model Lighting Ordinance (IDA/IES 2011) by the lighting industry and the lesser-known Pattern Outdoor Lighting Code (Luginbuhl 2010) by the astronomical research community. Of particular interest to professional lighting designers is the BUG rating system of IES TM-15-11. While the IDA/IES Model Lighting Ordinance (MLO) has seen at best sporadic adoption by individual municipalities and states, BUG ratings are integral to the LEED v4 Light Pollution Reduction credit. While it is only one credit, it may make the difference between, for example, LEED Silver and Gold certification. Related to this is the IDA’s Fixture Seal of Approval program, which “provides objective, third-party certification for luminaires that minimize glare, reduce light trespass, and don’t pollute the night sky.” While it is not directly related to IES TM-15-11 or LEED v4, outdoor luminaires with this “dark-sky friendly” certification are useful in promoting environmental responsibility in building design. Curiously, recent changes to this program have removed all references to the BUG rating system, replacing it with the much simpler requirement that the luminaires be full-cutoff, or to quote the IDA FSA Web site, “fixtures must emit no light above 90 degrees.” In other words, after campaigning for lighting pollution control and working with the lighting industry through the Illuminating Engineering Society for the past decade or more, the International Dark-Sky Association apparently no longer recognizes the IES BUG rating system. What happened here … and why is your humble scribe looking guilty? Going back to 1973, the astronomer P. S. Treanor wrote a paper called, “A Simple Propagation Law for Artificial Night-Sky Illumination” (Treanor 1973). In it, he developed an empirical equation for the overhead sky brightness at night due to light pollution from a distant city. As befits the astronomical research community, his equation involved Mie scattering from aerosol particles (dust and smoke), atmospheric density, and extinction coefficients – topics not in the lexicon of most lighting designers. The light source was modeled as a single point source with constant intensity. In 1986, the astronomer R. H. Garstang wrote a paper called, “Model for Artificial Night-Sky Illumination” (Garstang 1986). Again as befits the astronomical research community, his equations involved Rayleigh scattering from air molecules, Mie scattering from aerosol particles, reflections from the ground, and more. Most important, he empirically modeled the luminous intensity distribution of roadway cobrahead luminaires that were prevalent at the time. In Garstang’s defense, however, a metropolis illuminated with randomly oriented cobrahead luminaires circa 1986 probably did have a composite luminous intensity distribution (i.e., for the entire city) that was reasonably approximated by his empirical function. As evidence of this, recent studies by Duriscoe et al. 2013 and others have mostly validated the sky glow predictions made by Garstang’s model. That, however, was three decades ago. Things have changed. An IES meeting of outdoor lighting industry representatives first saw this proposed ordinance as an existential threat, as recorded in the meeting minutes. Eventually however, it was decided that it was better to work with the astronomical research community rather than to fight it. In 2005 therefore, the Joint IDA/IES Task Force was formed to collaboratively develop the MLO. This led in turn to the development of the Luminaiure Classification System (LCS), published in IES TM-15-07, with the BUG rating system added in 2009 and subsequently revised in IES TM-15-11. The first public review of the MLO occurred in 2009, the second public review in 2010, and the final Joint IDA-IES Model Lighting Ordinance (MLO) with User’s Guide document was published in June 2011 (IDA/IES 2011). The BUG rating system of IES TM-15-11 is incorporated in the MLO as Table C, Maximum Allowable Backlight, Uplight and Glare (BUG) Ratings. Referring to IES TM-15-11, it defines six uplight ratings for luminous flux (maximum zonal lumens) emitted above 90 degrees by the luminaire (Table 1). There are two uplight zones, designated UL for vertical angles 90 to 100 degrees and UH for angles 100 to 180 degrees (FIG. 3). Referring to the astronomical research comment above, it would be unthinkable for an astronomer to specify values in a standard “based on professional experience and analysis efforts” without providing the data needed for impartial and independent verification. East is East and West is West … as easy as it may be to poke fun at both sides in this matter, it is not constructive. As long as the BUG rating system is being used as a basis for the LEED v4 Light Pollution Reduction credit, there is a need to understand whether the maximum zonal lumens shown in Table 1 are appropriate. 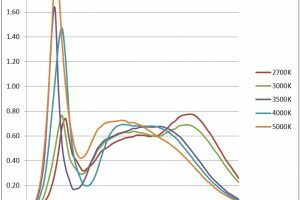 The paper explained that “post-processing of the measured photometric data” is indeed a common practice in photometric laboratories. If the laboratory technician can clearly see that the luminaire emits no light at or above 90 degrees, it is entirely reasonable to zero out the data for vertical angles greater than zero degrees, as these only record the diffuse interreflections from the laboratory room surfaces. From an engineering perspective, this is an untenable position. The problem is that if you cannot measure something, then it is pointless to divide it into different categories (in this case U0 through U2 uplight ratings). Kipling’s pessimism aside, it is possible to reconcile the interests of the lighting industry on one hand and the astronomical research community on the other. The approach is simple: given that Garstang’s light pollution model has been validated, it is entirely straightforward to substitute measured luminous intensity distributions for Garstang’s generic and arbitrary distribution (FIG. 1). It did not make sense to do this in 1986, but it certainly does today with the emphasis on BUG ratings. The question to be answered is, what influence do various UL and UH ratings have on light pollution if you assume that the same luminaires are used throughout an entire metropolis? To be fair, the astronomical research community has addressed this question in several papers, including Aubé et al. (2005), Aubé (2015), Baddiley (2007), and Cizano and Castro (2000). In particular, an open source software program for sky glow modeling called Illumina imports IES LM-63 photometric data files. The problem, however, is twofold: 1) the papers were written for and published within the astronomical research community; and 2) software programs such as Illumina are sophisticated research tools that are designed to answer more pressing questions than whether the BUG uplight rating lumen values are appropriate. This need not dissuade us, however. Garstang’s light pollution model is not particularly complicated, and it was clearly described in the original paper. It is also not particularly difficult to implement in software – it was after all originally developed to run on a 1980s-era Apple II computer (Garstang 1986). The only difference is that calculations that likely took days to weeks to run in 1986 now execute in a few seconds. The result is SkyGlowCalc, a program written expressly to answer the above question for the IDA Task Force (FIG. 4). The software was developed on a volunteer basis in the author’s capacity as a member of the Task Force, mostly because the question itself was inherently interesting. For astronomical purposes, the most important output of this program is the sky brightness or its equivalent limiting visual magnitude. The goal was to take the photometric data files of 63 commercial luminaires from the IDA Fixture Seal of Approval program and see what differences in sky brightness there would be, assuming that all the luminaires emitted the same amount of luminous flux and all other parameters were equal (as shown in FIG. 4). The results of this analysis are shown in Table 2. The visual magnitude of the calculated sky glow determines the faintest stars you can see directly overhead at midnight on a moonless night. With the unaided eye, we can see stars as faint as magnitude 6; telescopes gather more light and so allow us to see fainter stars. The scale is logarithmic, with a difference of 0.1 magnitude representing a difference of approximately 10 percent in photometric intensity. These differences are near the limit of our ability to distinguish differences in intensity. 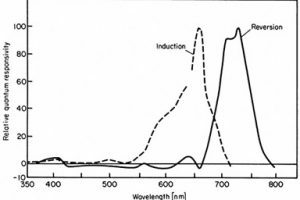 Simply put, not only can we not measure the differences between U0, U1 and U2 ratings in the laboratory with luminaires, we cannot distinguish the resultant differences in sky glow in the night sky. Shortly after these results were presented to the IDA Task Force, the decision was made to remove BUG rating requirements from the IDA Fixture Seal of Approval program. As noted above, the BUG rating system is incorporated in the IDA/IES Model Lighting Ordinance (IDA/IES 2011) as Table C. However, there is a twist that is often overlooked (FIG. 5). Put another way, Table C-2 says that different uplight ratings are permitted for different lighting zones, but only for luminaires that are not used for street lighting or area lighting. In other words, only luminaires with U0 ratings are permitted for street and area lighting (which basically includes all significant outdoor lighting).. Prior to 2007, roadway luminaires were classified as having cutoff, semicutoff, noncutoff, and full cutoff luminous intensity distributions, with “full cutoff” meaning luminaires with no luminous flux emitted at or above 90 degrees vertical, as well as limited intensity at or above 80 degrees (IES 2011). The BUG rating system was developed by the Joint IDA/IES MLO Task Force to address light pollution issues, thereby replacing these mostly empirical definitions. It seems, however, that we mostly have come full circle – the International Dark Sky Association no longer makes use of the BUG rating system in its Fixture Seal of Approval program. All that is required is that the luminaires do not emit luminous flux above 90 degrees vertical. As for the BUG rating system, it must be remembered that its backlight and glare components (except G0) are still presumed valid, and so it is still useful in environmentally responsible lighting design. It rightfully retains its position in the IDA/IES Model Lighting Ordinance. The reason why uplight from U0- and U1-rated outdoor luminaires has so little effect on sky glow is simple. Taking the full-cutoff 250-watt metal halide luminaire from IES TM-15-11 as an example, it emits 13,553 lumens downwards. Assuming that the ground has a reflectance (albedo) of 15 percent (Gillet and Rombauts 2001), the amount of light diffusely reflected into the upper hemisphere is 2,033 lumens. The portion of light reflected into the UL zone is 406 lumens, with the remaining 1,627 lumens being reflected into the UH zone. In other words, the luminaire in its natural surroundings has a UL rating of U2 (nearly U3) and a UH rating of U4. Adding a few more lumens of directly-emitted luminous flux will not make any difference. Together, roadway and outdoor parking luminaires account for over 80 percent of all outdoor lighting on a per-lumen basis (Navigant 2012). If we are to tame light pollution, it must be through a combination of limiting roadway and parking lot illuminance requirements, and perhaps more important employing smart networked lighting technologies to dim or turn off the luminaires when they are not needed. In the meantime, the twain have hopefully and finally met. Thanks to Dawn DeGrazio for editorial assistance and historical clarifications. Ashdown, I. 2012. “Photometric Imprecision Can Limit BUG Rating Utility,” Leukos 9(2):79-88. Aubé, M., L. Franchomme-Fossé, P. Robert-Staehler, and V. Houle. 2005. “Light Pollution Modelling and Detection in a Heterogeneous Environment: Toward a Night Time Aerosol Optical Depth Retrieval Method,” Proc. SPIE Volume 5890. Aubé, M. 2015. “Physical Behaviour of Anthropogenic Light Propagation into the Nocturnal Environment,” Philosophical Transactions of the Royal Society B 370(1667):20140117. Baddiley, C. 2007. “A Model to Show the Differences in Skyglow from Types of Luminaires Designs,” Starlight 2007. La Palma, Canary Islands. Chinnis, D., M. Mutmansky, and N. Clanton. 2011. “IES TM-15 BUG Value-Setting and Adjustment Methodology,” Leukos 8(1):25-39. Cinzano, P., and F. J. D. Castro. 2000. “The Artificial Sky Luminance and the Emission Angles of the Upward Light Flux,” Journal of the Italian Astronomical Society 71(1):251. Navigant Consulting, Inc. 2012. 2010 U.S. Lighting Market Characterization. Washington, DC: U.S. Department of Energy. Duriscoe, D. M., C. B. Luginbuhl, and C. D. Elvidge. 2013. “The Relation of Outdoor Lighting Characteristics to Sky Glow from Distant Cities,” Lighting Research and Technology 46(1):35-49. Garstang, R. H. 1986. “Model for Artificial Night-Sky Illumination,” Publications of the Astronomical Society of the Pacific 98:364-375. Gillet, M., and P. Rombauts. 2001. “Precise Evaluation of Upward Flux from Outdoor Lighting Installations (Applied in the Case of Roadway Lighting),” Proc. International Conference on Light Pollution. Serena, Chile. IDA/IES. 2011. Joint IDA-IES Model Lighting Ordinance (MLO) with User’s Guide. New York, NY: Illuminating Engineering Society. IES. 2011. IES TM-15-11, Luminaire Classification System for Outdoor Luminaires. New York, NY: Illuminating Engineering Society. Kipling, R. 1892. The Ballad of East and West, in Barrack-room Ballads. London, UK: Methuen Publishing. Luginbuhl, C. B., V. E. Walker, and R. J. Wainscoat. 2009. “Lighting and Astronomy,” Physics Today, December, pp. 32-37. Luginbuhl, C. B. 2010. 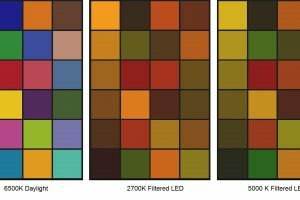 Pattern Outdoor Lighting Code (USA). Flagstaff, AZ: U.S. Naval Observatory. Treanor, P. J. 1973. “A Simple Propagation Law for Artificial Night-Sky Illumination,” Observatory 93:117.